Hello wedding guests! You are awesome and should enjoy celebrating this wonderful family and friend event...the coming together of two people and two families. BUT, during the ceremony, PLEASE, do not take photographs with your iPads, phones or even pro cameras. 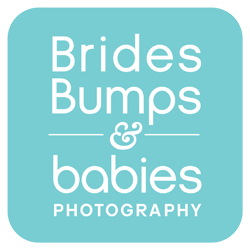 Us professional wedding photographers will be capturing all of the precious moments with our amazing professional equipment and will be sharing the photos with the wedding couple. They will have the ability to share the images with you all! I implore you to sit back, pay attention to the ceremony and just enjoy taking it all in for your own memories. When you lean out into the aisle to take photos it really can ruin our professional photographs of the wedding. This is especially true for key moments that only happen once such as the kiss of course but also pouring sand together, lighting candles together, celebrating during the couples exit back down the aisle, the processional down the aisle and on and on. You can see a few photos in this post that I thought showcased how awful things can turn out when the guest try to capture photos on their devices. Not good! Once you are at cocktail hour and the reception, go for it! Have fun snapping photos with family and friends...heck, I'll take the photos for you with your camera, just ask! ;) If you abide by this important rule to holster your phones during wedding ceremonies, you will be doing your wedding couples a huge favor! Again, just enjoy yourselves at the ceremony...us professional wedding photographers got you covered!